Doing your homework on wood flooring companies is as essential as choosing the wood you want to use for your home. For over thirty years, Bob McGowan’s wood flooring company has been the top choice on Long Island. Knowing what kind of wood you use can give your home the polish that you desire. 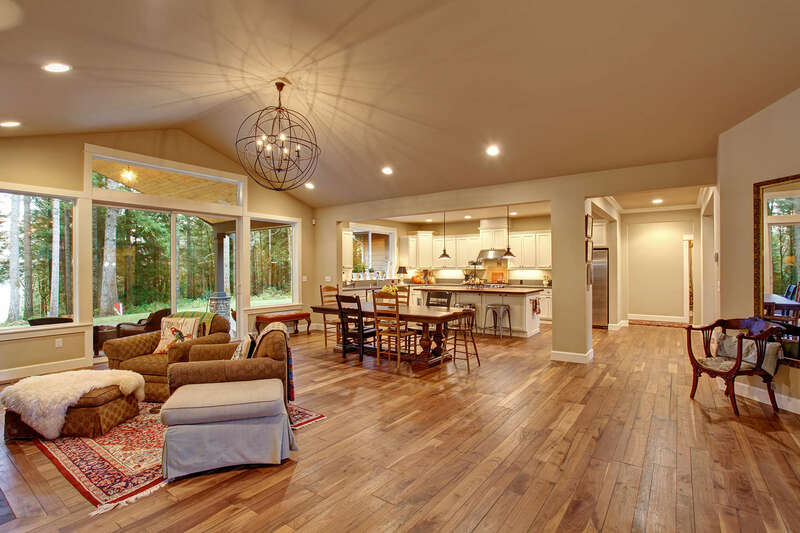 When it comes to installing and refinishing your floors, Bob McGowan’s wood flooring company have experts that will make your flooring update as easy and seamless as possible. What kind of wood do you want? Let’s help you figure out what wood flooring works out best for your home! Cherrywood Oak: There are hundreds of red oak species in North America. Cherrywood oak is a hardwood that is extremely durable and can handle the comings and goings of a family, including pets. It bleaches and stains really well, and it is easy to refinish. It is hypoallergenic, and is typically a moderate price point. Black Cherrywood: Like the cherrywood oak, black cherrywood is extremely durable and can easily handle a beating in high-traffic areas in your home. It helps increase the value of your home and works with decor of all styles. Black cherrywood is also extremely durable because of its high water resistance. In fact, when installed properly, it is one of the most water resistant woods. Water can’t seep in-between floorboards if there is a spill. White Birch: White birch is a wonderful option for the outdoors. It’s a great wood for steam bending. Steam bending is a when wood is steam heated to make the wood flexible. Outdoor furniture can be made with with white birch. It is easy to cut either by hand or with a power tool. It absorbs stain and polish very well. It is also very shock resistant. Hard Oak: Hard oak is a dream option for hardwood floors. It is easy to install and clean; Once the panels are installed, cleaning and maintenance are a breeze. Simply vacuum and dust the floors, and your home is much cleaner already. Hard oak is a top option for people suffering from allergies. Since it’s so easy to clean and keep clean, dust does not accumulate as easily. It ages very well, and increases the value of your home. The hardness and durability of all types of wood are measured using the Janka hardness test. The hardness is measured by the direction of the wood grain. The surface of the grain perpendicular to the plank is known as the side hardness, and the cut stump of the piece of wood is known as the end hardness. In the United States, the Janka hardness test is measured in pounds-force. Although getting a wood floor may seem like a pricey option for your home, it is a beautiful option. The maintenance is low, it has longevity and it instantly increases the value of your home. When it comes to a quality wood flooring company that does it all, Bob McGowan’s wood flooring is a top choice on Long Island.